Who doesn’t love a good water fight? Party Camp is attempting to set the Official Guinness World Record for the Largest Water Balloon Fight right here at Seattle Center on August 17th! This is a local kids camp fundraiser who brought you “Snow Day” earlier this year, the Largest World Record Snowball Fight. The event is organized by a team of local young professionals who believe the best way to raise money for kids is by remembering what it’s like to be one. Party Camp’s goal is to raise more than $75,000 for Camp Korey, a local non-profit that provides children with serious medical conditions and their families, camp experiences at no cost, with full support for the medical needs of campers. Tickets for Party Camp are $25 with a $12 Early Bird deal available through Living Social for a limited time. Check out Party Camps Website for more information! 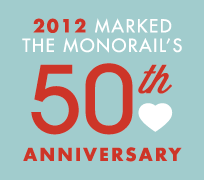 Be sure to hop on the Monorail for quick and direct transportation from downtown to Seattle Center!